It is well accepted that nutrition plays a vital role in rugby performance, and that a player’s requirements are different to that of non-rugby players. 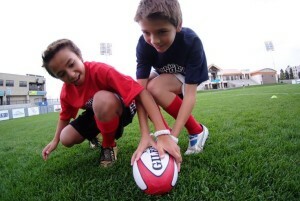 A good nutrition plan will help to optimise energy levels for the boys training and games. Below is a basic guideline of what the boys should be eating before and after games and training to maximise their performance and recovery. 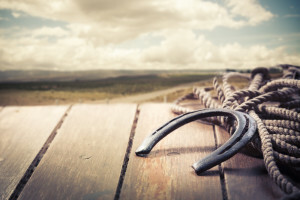 I had a client ring up last week to say she wanted to cancel her session (outdoors) because it was raining and she didn’t want to get wet before she went home and had a shower. 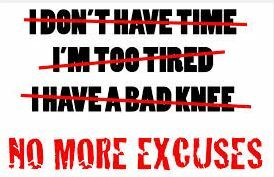 It got me thinking of the number of excuses I have heard over the years to get out of exercising. The Fitness and Nutrition Industry is full of “New” Training and Nutritional Programs that make all sorts of promises about their benefits. But what about eating certain foods to make you “smarter”? The good news is that you can improve your chances of maintaining a healthy brain if you add the following “brain” foods and drinks to your diet and the diet of your kids. There’s no magic bullet to boost IQ or make you smarter — but certain substances, like caffeine, can energise you and help you concentrate. Found in coffee, chocolate, energy drinks, and some medications, a small amount of caffeine gives you that unmistakable wake-up buzz, though the effects are short-term. And more is often less: Overdo it on caffeine and it can make you jittery and uncomfortable. Tempted to skip breakfast? 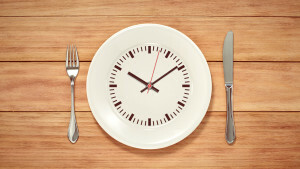 Intermittent fasting is a powerful tool for weight loss and cleansing, and I personally use intermittent fasting a couple of days every week, but not on day’s when I have a heavy workload. Studies have found that eating breakfast may improve short-term memory and attention. Students who eat it tend to perform better than those who don’t. Foods at the top of researchers’ brain-fuel list include high-fiber whole grains, protein, dairy, and fruits. Just don’t overeat; researchers also found high-calorie breakfasts appear to hinder concentration. It may sound cliche but it’s true: If your diet lacks essential nutrients, it can hurt your ability to concentrate. Eating too much or too little can also interfere with your focus. A heavy meal may make you feel tired, while too few calories can result in distracting hunger pangs. 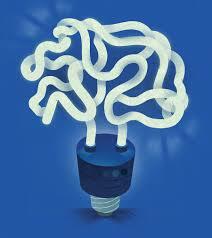 Benefit your brain: Strive for a well-balanced diet full of a wide variety of healthy foods, and exercise regularly. Some researchers are cautiously optimistic about ginseng, ginkgo, and vitamin, mineral, and herb combinations and their impact on the brain. I take a Multivitamin morning and night, but always check with your doctor, before taking any supplements. 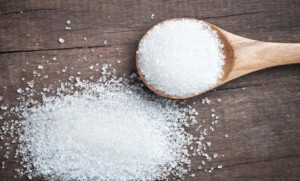 How much “Hidden”sugar is in your diet? We all know that we should be limiting the amount of sugar we have in our diet, but do we really know what foods do or don’t contain sugar. Just this morning I was having a chat with a client of mine about their nutrition, and I asked how much sugar they were consuming daily in their diet. The reply from my client was the same as most people whom I ask that question, “I don’t ADD much sugar at all to my food”. The problem we face daily is that sugar (in many forms) may be hiding in a lot of your favourite foods without you even realising it. Of course it’s in lollies, biscuits, and cakes, but there are also many “hidden sugars” added to condiments, drinks, “healthy” snacks foods, and many other surprising items you might eat every day. Here are 15 of the top ”added” sugar offenders. Coleslaw can vary widely in its added sugar content, depending on the ingredients used to make this popular cookout side dish. Some recipes actually call for adding up to one full cup of sugar. To keep your sugar and vegetables separate, avoid the pre-made coleslaw from restaurants and grocery stores and make your own. Try substituting non-fat plain Greek yogurt instead of mayonnaise (to cut fat and boost protein), and use a couple tablespoons of red wine instead of sugar. Add a little lemon juice, garlic, and/or Dijon mustard for added flavour. Barbecue Sauce: 2 teaspoons (8 grams) of added sugar in 30 mls. Unfortunately, just 30 mls of barbecue sauce can pack in 8 grams of added sugar. Most people use way more than that on their serving of steak and chips. One way to trim the sugar is to simply look for a low-carb or no-sugar-added sauce at the supermarket, or to make your own slathering sauce by mixing sugar-free tomato sauce, Worcestershire sauce, minced onion, garlic, tomato paste, and a pinch of cloves. 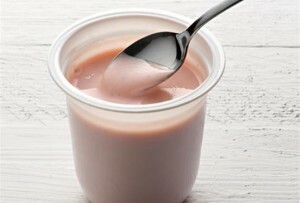 Flavoured yogurt: 5 teaspoons (19 grams) of added sugar in 180 mls. Yogurt might be synonymous with “health food” for many, it’s a great source of protein, calcium and cultures but unless you’re buying “plain” yogurt, that dose of dairy may contain 20 grams of added sugar on more. When shopping for yogurt, play close attention to the ingredients list and look for varieties with little to no added sugars. 100% fruit juice is a very concentrated source of fructose (naturally occurring fruit sugar). Fruit drinks, on the other hand, are often packaged and marketed to look like “wholesome” fruit juice, but are mostly a mixture of added sugar and water. While 100% fruit juice does contain some vitamins and minerals, fruit drinks usually don’t. Avoid these hidden sugars, read the ingredients label. Anything other than “100% fruit juice” is likely to include added sweeteners. But when it comes to eating more fruit, eating not drinking is still best. Whole, fresh fruit has more nutrients and fiber and is a far less concentrated source of sugar, natural or not. Sure, the bulk of a pasta sauce’s ingredients are tomatoes and other veggies, but did you know that various forms of sugar (or corn syrup) are often added to your favourite red sauce? Manufacturers add sweeteners to tomato-based sauces to help cut down on the acidity of the tomatoes for a more widely appealing taste. But not all spaghetti sauces are created equal–some brands have 2-3 times the sugar of others! Look for pasta sauce with “no sugar added” on the label to reduce your added sugar intake by 10 grams or more per serving, or choose a jarred sauce that lists sweeteners near the very end of the ingredients list. Better yet, make your own pasta sauce from scratch (it’s surprisingly easy) with fresh tomatoes, chopped onions, garlic, tomato paste, and basil. This way you can adjust the amount of sugar added, or skip the sweet stuff altogether. Sports Drinks: 3.5 teaspoons (14 grams) of added sugar in 240 mls. Many people turn to sports drinks during the hot summer months to stay hydrated or replace lost electrolytes from sweating. There are definitely some situations in which sports drinks are warranted: running a marathon, prolonged athletic training, and severe illness, to name a few. Going for a brisk walk or a leisurely bike ride on a hot summer day is not one of these situations. Sports drinks pack in as much sugar as soft drinks and essentially contribute empty calories that wreak havoc on our blood sugar and waistlines. Chocolate Milk: 1.5 teaspoons (6 grams) of added sugar in 240 mls. Chocolate milk and other flavoured milks get their sweetness from 6 grams of added sugar. Less of a drink and more of a dessert, it’s best to stick to plain milk, or to drizzle a little bit of your own chocolate syrup as an occasional treat. This way you can control the amount of added sugars and still enjoy one of childhood’s simple pleasures! Muesli often wears a health halo since it’s made from whole grain oats and other wholesome ingredients like nuts, seeds and dried fruits. However, this cereal is usually loaded with added sugars, often containing three or more different types of sweeteners in a single product. In fact, some muesli contains more sugar per serving than “fruit loops” or “coco pops” kids cereals! But this doesn’t mean that this breakfast treat is completely off limits. Look for a brand that contains a minimal amount of added sugar (scan the ingredients list closely) or better yet, make your own homemade muesli. Alternatively, use muesli as a topping for snacks rather than as a snack or cereal by itself. 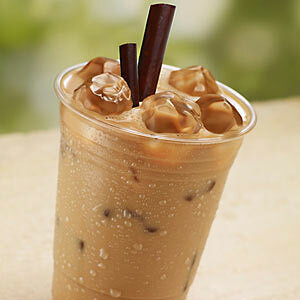 Coffee Drinks: 4-8 teaspoons (15-30 grams) of added sugar per 240 mls. Black coffee by itself is naturally sugar-free, but some flavoured coffee drinks can pack more than 30 grams per 240 ml serving. When shopping for your morning cup of coffee, avoid flavoured or mixed coffee drinks that add in the sweeteners, flavoured syrups, whipped (sweetened) creams, and other sweeteners. Try adding a dash of low fat milk, soy milk, or almond milk instead of flavoured creams. Some coffee houses may offer sugar free syrups (artificially sweetened) that can save you calories and sugar. Tomato Sauce: 1.5 teaspoons (6 grams) of added sugar in 30 mls. One of Australia’s favourite condiments, this seemingly innocent tomato-based sauce can pack as much as 6 grams of added sugar in a single serve. High fructose corn syrup is usually added to tomato sauce to give it its sweet and savoury flavour. One way to cut back on the added sugars is to look for a “no sugar added” brand, sweetened with sucralose. You can also make your own sauce by combining tomato puree, vinegar, onion powder, and garlic powder. You can add a small amount of sugar or salt if desired, but this way the amount will be controlled by you! Sweetened Teas: 6 teaspoons (24 grams) of added sugar in 240 mls. Like coffee, tea is naturally sugar free. However, tea often comes sweetened with (lots of) sugar unless you specifically ask for unsweetened tea. This added sugar can rack up to over 24 grams for 240 mls of tea. Nothing is as refreshing as a cold glass of iced tea on a hot summer day, but iced tea doesn’t have to be sweetened with sugar to taste great. A tasty alternative would be to make your own flavoured teas by adding chopped mint, crushed raspberries, lemon slices, or orange slices. Oatmeal has long been touted as a healthy breakfast of whole grains and fibre, which may help to lower cholesterol, regulate blood sugars, aid in weight loss, and keep you full. But not all oatmeal is created equal. While oats themselves are free of added sugar, the instant, flavoured oatmeal that you buy in individual packages have 10-12 grams of sugar per packet. Fruit Jams: 1 teaspoon (4 grams) of added sugar in 1 Tbsp. A good jam on warm toast is a delightful way to start the morning. It’s made of fruit, so it’s good for you, right? Well, most of these fruit-based spreads are loaded with sugar, high fructose corn syrup or the healthy-sounded sweetener “fruit juice concentrate,” which may come from fruit but is still a very concentrated source of sugar. There are some sugar-free jams available on the grocery store shelves, but they’re still sweetened with artificial sweeteners or fruit-based sweeteners that are still caloric and concentrated sources of sugar. If you really want a fruit spread without added sugars, why not mash up some fresh berries on your own and spread it on your toast? The taste is impeccably fresh and it’s far more nutritious! Protein bars certainly sound healthy and many people choose them as an afternoon snack, post-workout recovery meal, or on-the-go meal replacement. 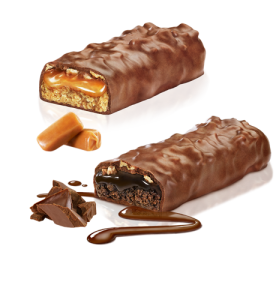 Of course, these bars run the gamut when it comes to actual ingredients and nutrition profile, but one thing is for sure: They tend to be heavily sweetened. While they may have some protein, most of these bars have enough sugar to make a candy bar look like health food. Look for protein bars with fewer than 4-5 grams of sugar and be wary off sugar alcohol on the label (often in low-sugar or low-carb protein bars) as these may cause gastrointestinal upset in some people. Dried fruit is a tasty way to get in an extra serving of fruit during the day. However, since most of the water has been sucked out of the fruit, dried fruit can contain a lot of calories in a very small serving. Some dried fruit varieties contain nothing more than the sweet fruit itself, but many other dried fruits have added sugar (and oils) to make them more palatable. Tart fruits such as cranberries, cherries, blueberries, and even mangoes are commonly combined with added sugar. To avoid the extra sugar shock, read labels carefully. There are many brands that do not add additional sweeteners to their dried fruits, but you have to look for them and they aren’t always easy to find. In most areas of nutrition, It is just a matter of educating yourself to be able to make the right choices on a day to day basis. If you have any question please drop me a message and I’d be happy to answer any questions you may have. For years we’ve been told to watch WHAT we eat for optimal health. But a very recent study may soon add in one more element to the equation. In fact, this could be a HUGE breakthrough in helping you keep the kilos off and staying healthy for life. Everyone knows that to get and stay healthy, you’ve got to watch WHAT you eat. But a recent study conducted at the Salk Institute for Biological Studies in San Diego suggests that WHEN we eat can be just as important – if not more so. Most of us eat whenever we feel like it. And if we are on an eating schedule, it’s usually throughout the entire day. The only time we don’t eat and give our digestive system a break is while we’re sleeping (which these days may as little as 4 – 6 hours for many!). It turns out that keeping the times you eat to just a block of eight hours and fast the other 16 can be great for your health. The study, published earlier this year in Cell Metabolism, took mice that shared the same genes, gender and age and split them up into two groups. Both groups ate the same exact thing – a high-fat diet where 60 percent of the calories came from fat. The only difference? One group was allowed to eat and nibble throughout the day, whenever they wanted. The other group was only allowed to eat during an eight-hour window and fasted for the remaining 16 hours. Researchers observed the mice for 100 days. At the end of the study, the mice who were allowed to eat whenever they wanted gained weight and developed clear markers of metabolic syndrome – high blood sugar, high cholesterol and liver damage. The mice that were only allowed to eat during an eight-hour period weighed 28 percent less. It seems that by letting your body fast daily for an extended period of time activates certain liver enzymes that cause your metabolism to burn extra calories as heat instead of storing them as fat. For sure, more studies need to be done on humans to see the effects of fasting 16 hours and eating for only 8. But there is promise. Most successful health interventions we know of today, were first tested in mice. Who knows? Try it for 30 days and you just might surprise yourself! 2. Lightly oil grate. Season meat with salt and pepper, and place on grill. Cook for 15 to 25 minutes, or to desired doneness, turning meat as necessary to cook evenly. Remove from grill, and let stand10 minutes before slicing. 3. Meanwhile, heat olive oil in a saucepan over medium heat. Cook shallots and garlic in oil until tender. Stir in grapes, soy sauce, honey, ginger, and five-spice powder. Bring to a boil. Reduce heat, and simmer for 15 minutes. Set aside to cool for 10 minutes. 4. Process cooled sauce until smooth in a blender or food processor. Serve over sliced tenderloin. 3. Bake for 15 minutes in the preheated oven, then turn them over, and continue baking for about 5 more minutes, or until somewhat crispy on the outside. Serve with pasta and sauce or however you’d like. With the “Silly Season” fast approaching, I thought it would be a good time to look at some tips for preventing and curing that dreaded hangover. Prevention is definitely better than cure. It’s all well and good curing a hangover, but wouldn’t it be better not to have it in the first place? There are quite a few things you can do to prepare for a night of drinking and prevent yourself from spending the next day with your head in a toilet. 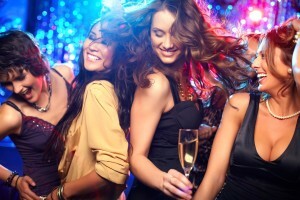 Unfortunately, the only surefire way to prevent a hangover is to not drink too much. But if that fails, then these tips might help. Eat something. Commonly referred to as “soakage”, eating something before a day/night of moderate to heavy drinking definitely helps to lessen the effects of a hangover. In fact, the more you eat, the more time it will take for the alcohol to affect you. This is because food helps to reduce the formation of acetaldehyde in your stomach, and it is this substance that is thought to be the main cause of hangovers. Fatty, carbohydrate-filled foods, such as pizza and pasta, are best for preventing hangovers, as fat slows your body’s absorption of alcohol. However, if you are trying to eat healthily, go for oily fish that contain healthy fatty acids, such as salmon, trout and sardines. Take vitamins. Your body uses up a lot of vitamins and nutrients when metabolising alcohol, while alcohol itself destroys essential B vitamins. Depleted of these vitamins, your body has a tough time whipping itself back into shape, leading to the dreaded hangover. You can help your poor liver out by taking a vitamin supplement leading up to any major drinking event. For the most effective results, opt for B complex, B6 or B12 vitamins.Vitamin B supplements can be found in most chemist and supermarkets, or you can increase your intake of B vitamins naturally by eating liver, meat and other animal products, such as milk and cheese. Have a spoon of olive oil. This may sound a little gross, but many Mediterranean cultures swear by this hangover prevention technique. Basically, it’s the same principle as eating fatty food before drinking – the fat in the olive oil will limit your body’s absorption of alcohol. 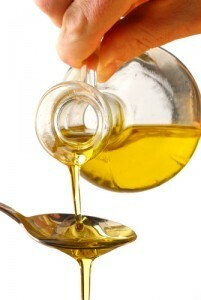 So if you can stomach it, swallow a tablespoon of olive oil before you head out for the night. Alternatively, you can increase your intake of olive oil less directly by dipping some crusty bread into it, or drizzling it over a salad. Replenish your body with fruit juice (drink orange juice for Vitamin C), and water (1 litre water). Drink a sports drink like Gatorade or Powerade, before you go to bed and in the morning. 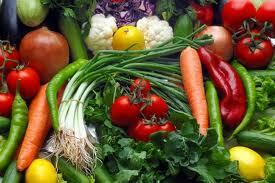 Eat mineral rich foods such as fruits and vegetables the next day. Try Alka Seltzer Morning Relief, as many people sware by it. Get some light exercise to help clear your system of the poison. The side effects of aspirin, can be magnified when alcohol is in your system, so it is best (even though it may be the first thing you reach for) to avoid it to kill the hangover pain. Aspirin is a blood thinner, just like alcohol, and can intensify its effects. So be cautious when going for the quick relief. I hope you have a Happy and Healthy Silly Season, and these tips help. 1. Consume ONLY one serving of fat as indicated on your daily nutrition templates below. 3. Monitor your portion sizes carefully with fats. It’s very easy to overdo it and add in an additional 300 to 400 calories per day if you’re not careful. 4. Make sure you LIMIT fat in any meals containing starchy carbs or fruits. *Healthy fats to monitor and limit for Stage 2: Make sure to limit or avoid raw seeds, nuts, nut butters, and avocado during this cycle. Although they are healthy and acceptable, servings sized always get abused. They contain too many hidden calories. You’ll notice we add more raw nuts, nut butter, seeds, and avocado back into your plan during Stage 3.